Victor is not remembered on the war memorial at Christchurch Park. Born: 6th June 1897, Ipswich. 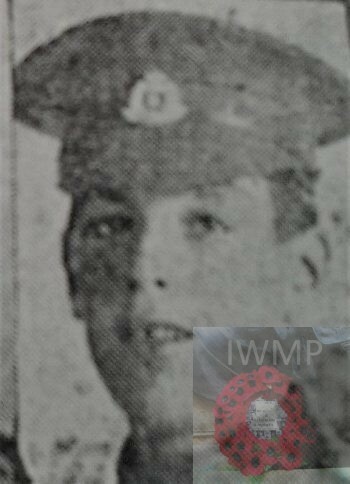 Died: 9th October 1917; age: 20; KiA. 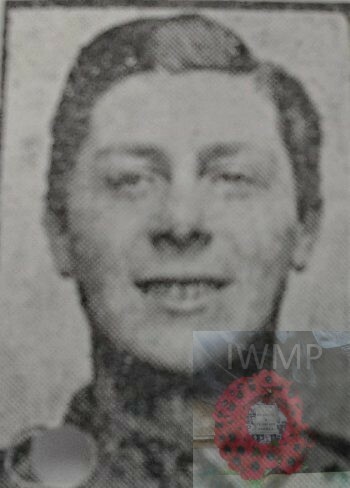 Rank: Lance Corporal; Service Number: 267865. Regiment: West Yorkshire Regiment (Prince of Wales’s Own), 1st/7th Battalion. Formerly 2661, Suffolk Regiment, 5th Battalion and 6143, West Yorkshire Regiment. Panel 42 to 47 & 162. Brother to HARRY PRENTICE SNELL SMITH. 1901 Post Office, Shelley, Suffolk. Victor was 3 years old and living with his paternal grandparents & cousin. John Snell, 42, a Horseman on Farm, born Preston St. Mary, Suffolk. Eliza Ann Snell (nee Smith), 42, born Lavenham, Suffolk. Edward Snell, 13, a Letter Carrier, born Preston St. Mary. Victor was 13 years old, a Kitchen Boy – Domestic. He was living with his grandparents & cousins. John, 51, a Horseman on Farm. Edward, 23, a Chauffeur – Domestic. Robert Snell, 4, born Poplar, London. Father: Charles Harry Snell Smith, born 1877, Lavenham. Mother: Alice Snell (nee Staff), born 1876, Ipswich. 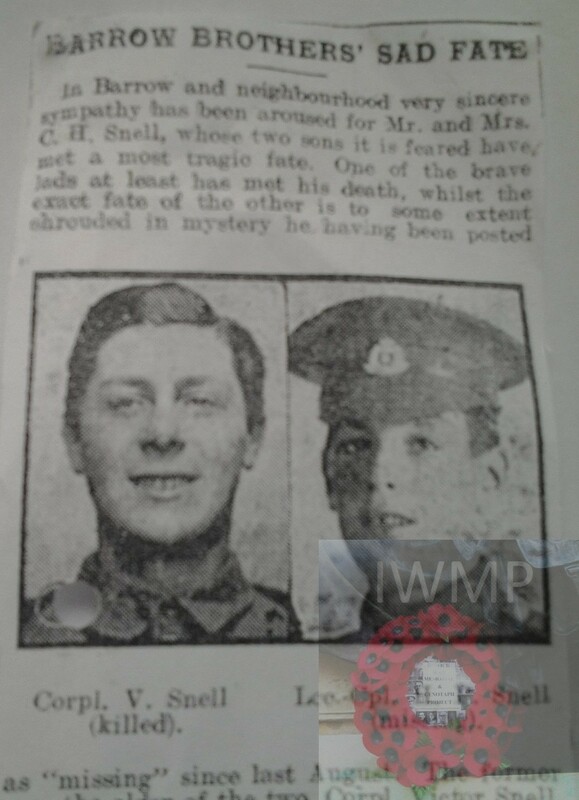 Soldiers’ Effects to Charles Henry Snell – father. Victor and his brother Harry are remembered on the war memorial at Barrow, Suffolk.